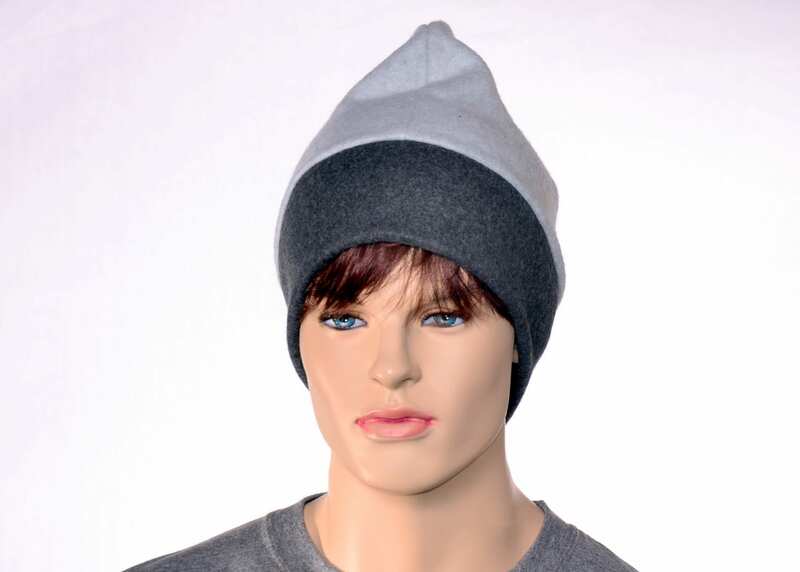 Men beanie hat made from soft fleece. 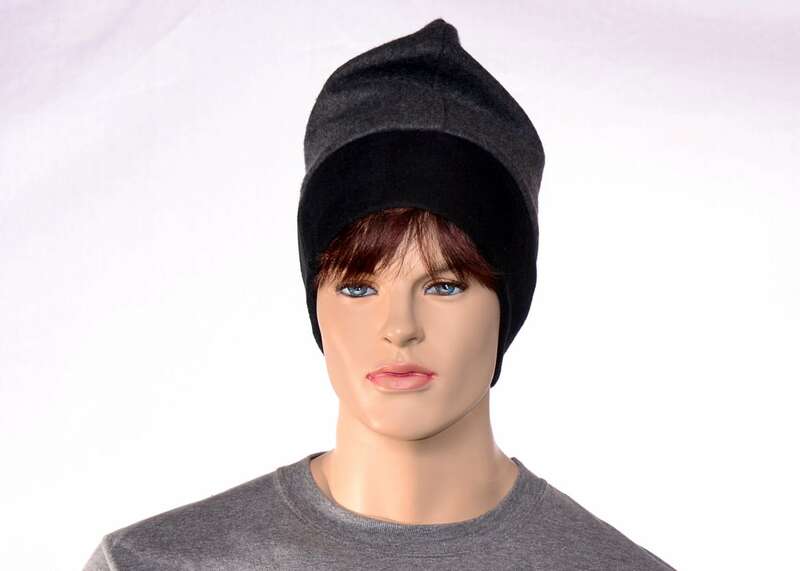 This is a slouchy beanie made in the classic Barretina style. Made so the upper part flops over. Traditional Mediterranean style. 1. 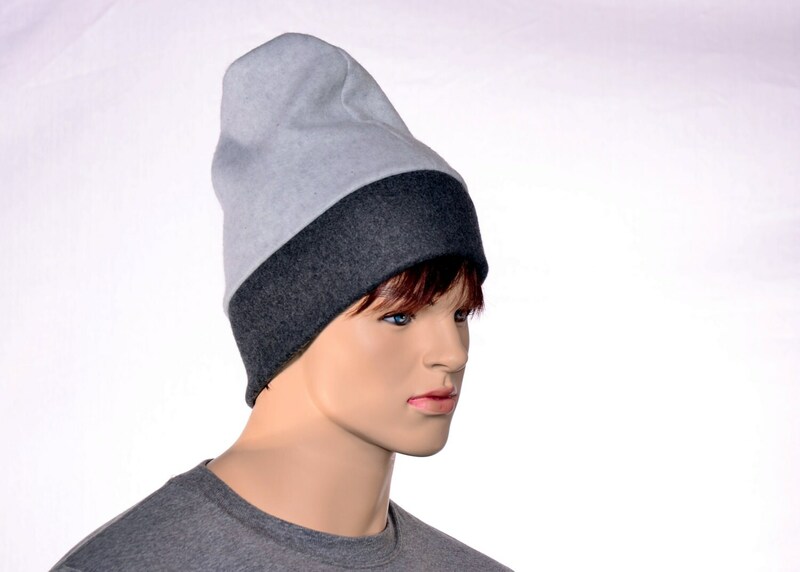 Light gray body with charcoal gray headband. 2. 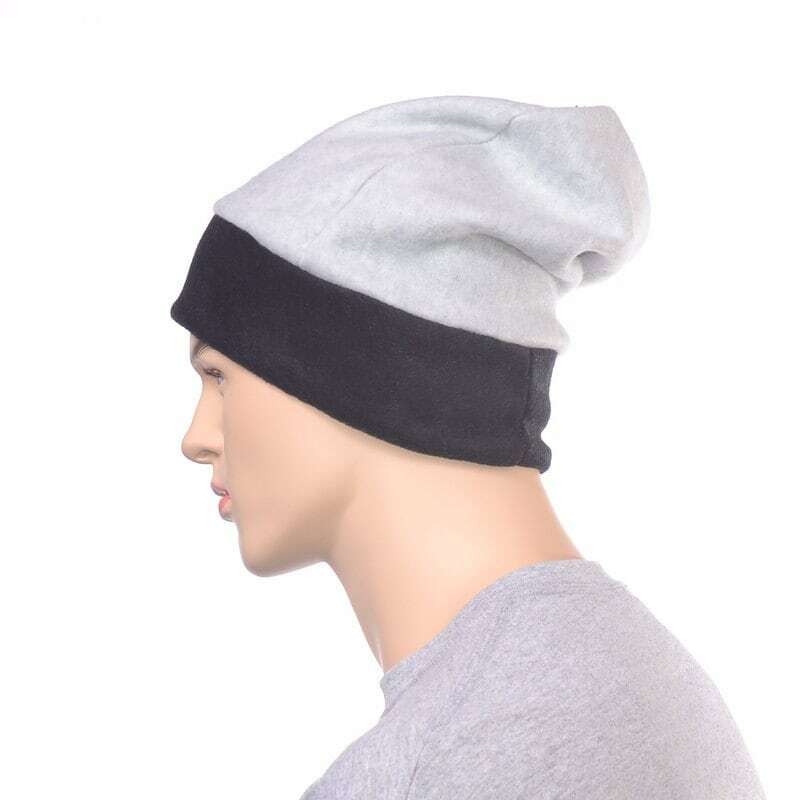 Light gray body with black headband. 3. 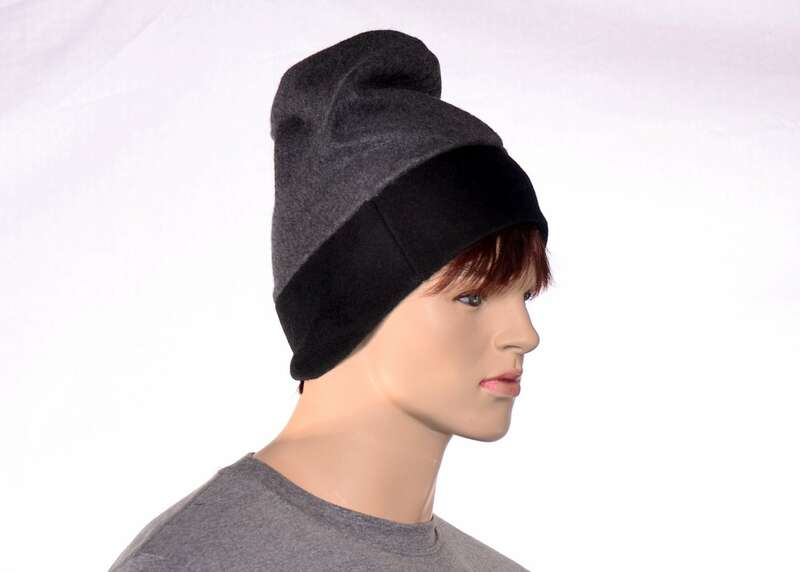 Charcoal gray body with Black headband.